The Rolling Stones have reportedly increased security on their South American tour after a gig worker was killed following a show in Buenos Aires on February 10. The Evening Standard reports the band are under 24-hour armed guard after 55-year-old Pedro Luis Tabares was killed in an attempted robbery after the group’s second of three concerts at the Estadio Unico stadium. Tabares and his boss were transporting proceeds from drink sales at the concert venue when they were targeted by robbers in an attempted heist. A 31-year-old Colombian, named as Jhon Alexander Bobadilla Vega, was later arrested. 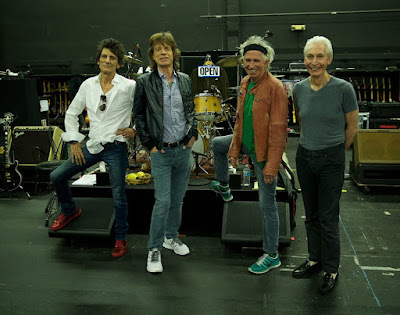 The Stones launched their first tour of the continent in a decade in Santiago, Chile on February 4. The 12-date run continues with a show in Montevideo, Uruguay on February 16 before performances in Brazil, Colombia and Mexico.